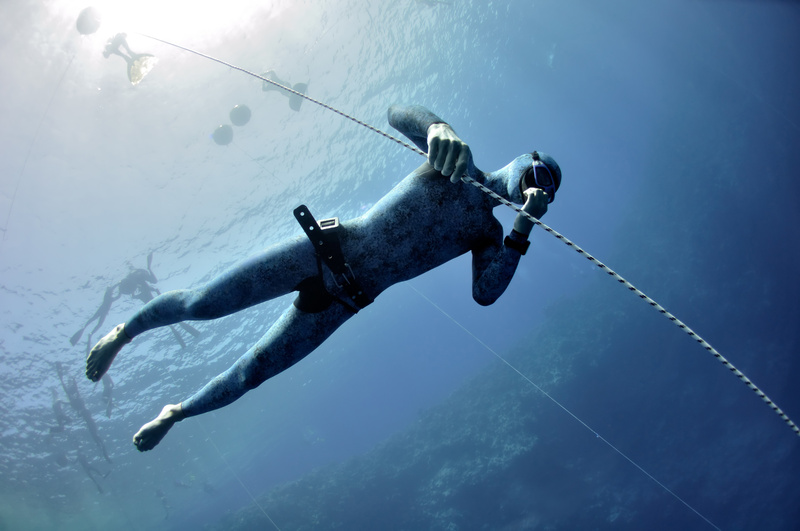 Learning Frenzel equalization can often elude beginner freedivers. Some people understand it and can perform it right away, while it takes other students much more time and effort, even with the help of private coaching and YouTube. If you fall into the second category, follow and repeat the exercises below. Freediver verifying the soft palate is in the neutral position. Slightly open your mouth. Breathe in through the nose, then out through the mouth. Repeat 3 – 5 times. Keep your mouth open. Breathe in through the mouth, out through the nose. Repeat 3 – 5 times. Keep your mouth open. Take a big inhale, exhale slowly through the mouth, and shift mid-exhale to exhaling through the nose. Do the same shift while inhaling slowly. Put your fingers in front of your mouth and nose so that you can feel where the air is coming from during the exhalation. Repeat while becoming aware of how the shift happens. You should feel a small movement at the upper part of the throat or at the back of the mouth. Repeat until you can clearly feel this movement. 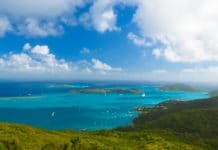 Once you feel that you have good control of the previous steps, take a big inhale. Try to exhale from both the nose and the mouth at the same time. 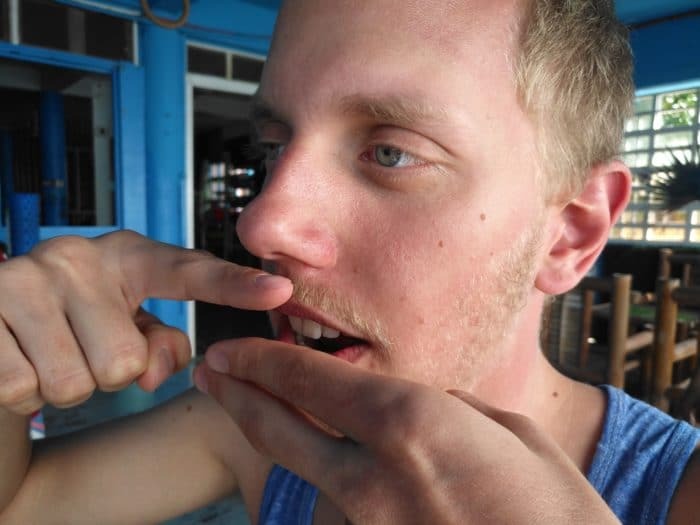 To confirm this, place two fingers in front of your mouth and one finger right under your nose. You should feel air flow and heat on these 3 fingers at the same time if air is coming from both the nose and the mouth (as pictured above). This means that your soft palate is in a neutral position. Lay flat on your back with one hand right below your rib cage and slightly above your belly button. Keep repeating the sound and focus on reducing or fully stopping any movement of the core muscles. Try and isolate the sound so that it is only coming from your mouth/throat cavity without contracting your core muscles. If you are not getting it right away, be patient and keep repeating steps 1 – 3 over and over again until you get the hang of it. Once you are able to pronounce the syllable “t” without contracting your core muscles, you should be able to feel that the sound comes from a movement performed by your tongue. Become aware of the muscles used for this movement by repeating it, since these are the muscles you will use in the following step. Inflation of the sides of the nose during successful Frenzel equalization. 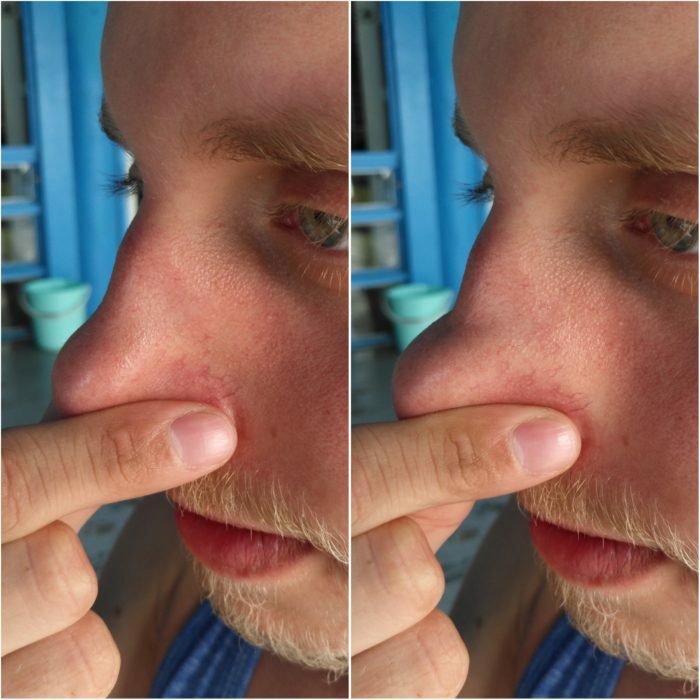 Fully seal your nose with your fingers. Keep your soft palate in the neutral position. Say the syllable “t” a few times before closing your mouth and continuing the same tongue movement that was producing the “t” sound. Now, since the air cannot escape from your mouth, it should give you a “pop” noise in your ears. If you feel nothing in your ear, look at yourself in the mirror while doing this and verify that the sides of your nose are inflating with each tongue movement (as pictured above). If they are not, go back to soft palate control and T-block control to confirm that you are performing each successfully. If you see a movement but are not hearing equalization, practice bigger up-and-down movements with your tongue to increase the volume of air moved into your sinuses and nasal cavity. Further tongue movement after the first “pop” should cause even more pressure in your ears as if you are pushing your eardrums outwards. Frenzel equalization is all about repetition and practice. It might take you 10 minutes to learn it, or it might take you several days to learn it.  From my experience as a freediving instructor, it is all about not giving up and continued practice. It is important to develop muscle memory when it comes to Frenzel equalization so that your body automatically performs the movement when needed, rather than you think about every single step. This means that until you have mastered the technique and can perform it automatically, you should practice it over and over again; try it while watching a movie or reading a book, so that it becomes instinctive. 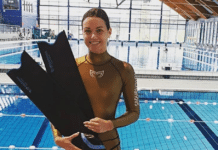 Frenzel equalization may work outside of water, but can be tricky to get it correct when you are head-first in water; it may even take one or two open water sessions before your first successful equalization. If you are not able to Frenzel-equalize successfully after a few weeks of practice, working with a coach one-on-one may be your best option. Just remember: keep on practicing and never give up!